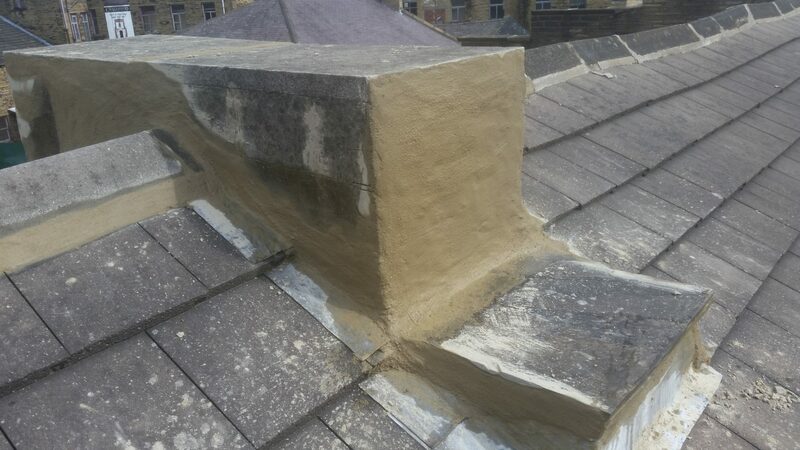 If you roof is looking a little worse for wear, we can help to repair it so that it is good as new. We offer top notch roof repair services and you can count on us to keep your home safe and secure from the elements. We provide a number of roof repair services which include installing new tiled roofs, flat roofing, new slate roofs, fascias and soffits, cladding, roof repairs and much more. 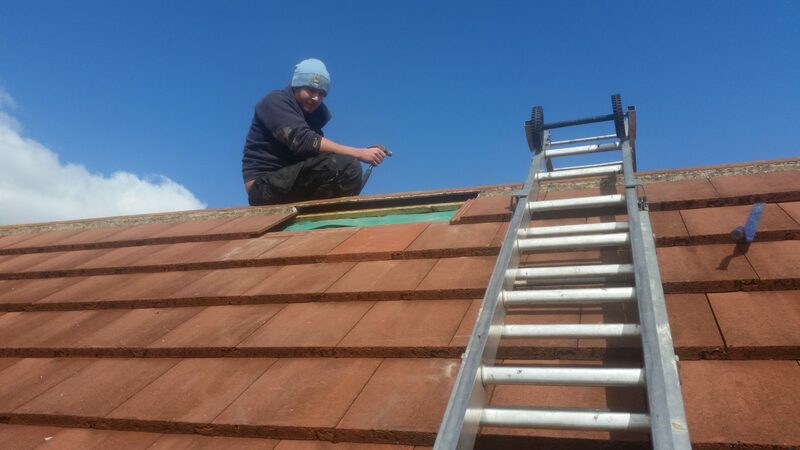 When we carry out our roofing services we ensure that everything is done safely according to the Occupational Health and Safety Regulations. 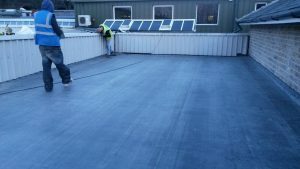 We take the time to ensure that everything is done correctly, so that you know your roof will be secure for many years. 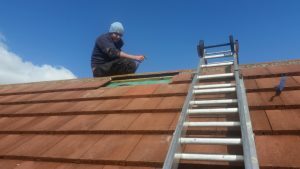 Our many satisfied customers will tell you that we conduct our business with a friendly smile and we work hard to ensure that your roof is repaired in top notch condition. Weather Damage: Extremes in weather conditions can cause your roofing materials to split, crack, buckle or blister. This can cause leaks in the roof and it is possible for water to seep through. Falling Objects: Sometimes the roof can be damaged by falling objects such as tree branches or something blown by a gust of wind. It is recommended that you trim all trees that overhang your roof, but in wind storms damage from falling objects sometimes cannot be prevented. Corrosion: Some roofing materials can be prone to corrosion, especially in parts of the roof where there are vents, chimneys and roof flashings. 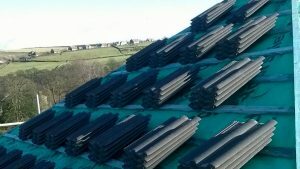 This can cause damage to the roof and can also result in leaks. 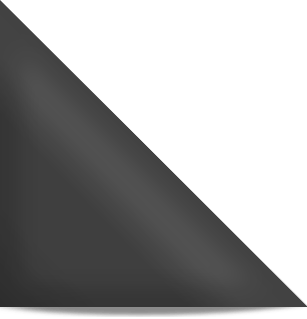 Wall dormer: A dormer whose face is coplanar with the face of the wall below, breaking the line at the cornice of the building. Wind: The roof can be damaged with extreme wind conditions, especially during hurricanes and storms. 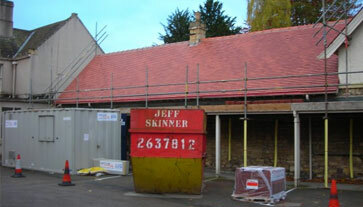 Sometimes these gusts of wind can lift roofing materials right off, causing major problems and the need for repairs. Birds and Animals: Small animals walking across the roof such as squirrels and mice and birds landing on the roof can cause damage over time. If animals or birds make nests in the roof or try to burrow into it, leaks can result. When animals make their way into your attic, they can damage roofs from the inside as well as the outside. Chimney Problems: Inadequate flashing or caulking around the chimney can cause leaks in the roof that would also necessitate a repair. 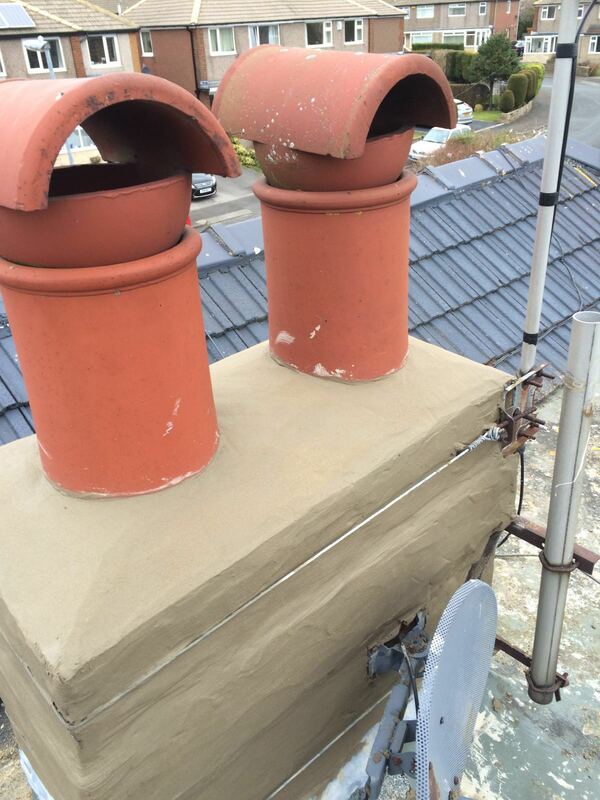 Make sure to inspect your chimney and have it repaired if necessary. These are just a few of the situations that might require repairs to your roof. 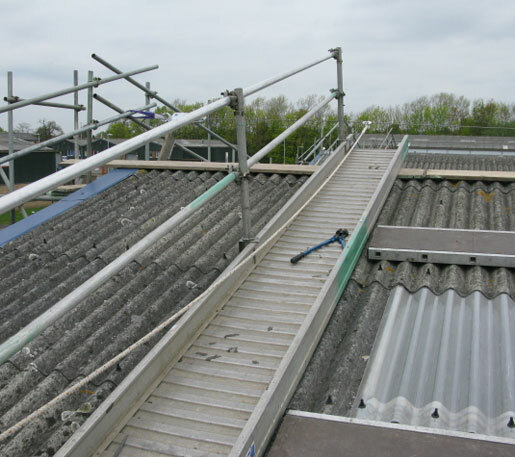 You can count on us to ensure that the roof repairs are conducted safely and securely and to a very high standard of quality. Feel free to contact us at any time with questions about our services or to request a free quote. We have worked on a wide variety of Commercial Projects on buildings belonging to companies such as Black Cat Standard Fireworks, Garrards Timber, Reliance Precision Engineering Ltd, Pizza Hut, Lloyds TSB, Barclays Bank, Del Monte, St. Leger homes, Tesco, The Sizzling Pub Co., Burger King, Calderdale NHS Trust, Royal Mail, Marks & Spencer and North Yorkshire Police to name but a few. 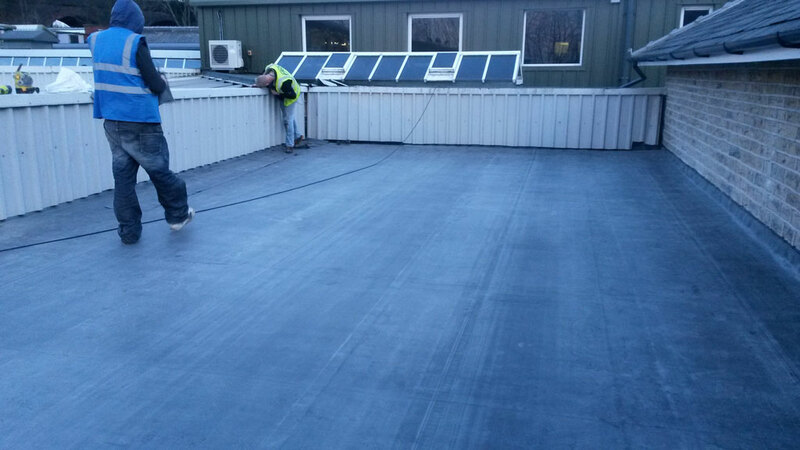 We have worked on reactive maintenance for Four Seasons, FME, Willjohns, Wilkinson and Mitchell & Butler. We are more than happy to discuss maintenance packages tailored to your needs. 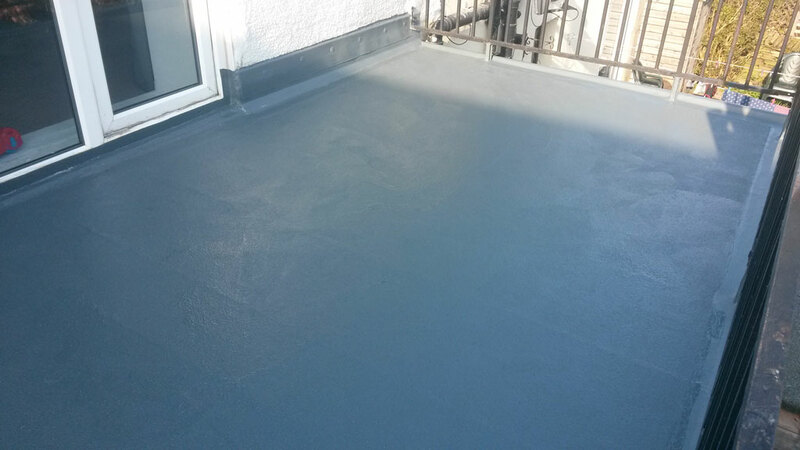 We offer full call out facilities and we are able to attend clients’ properties the same day.